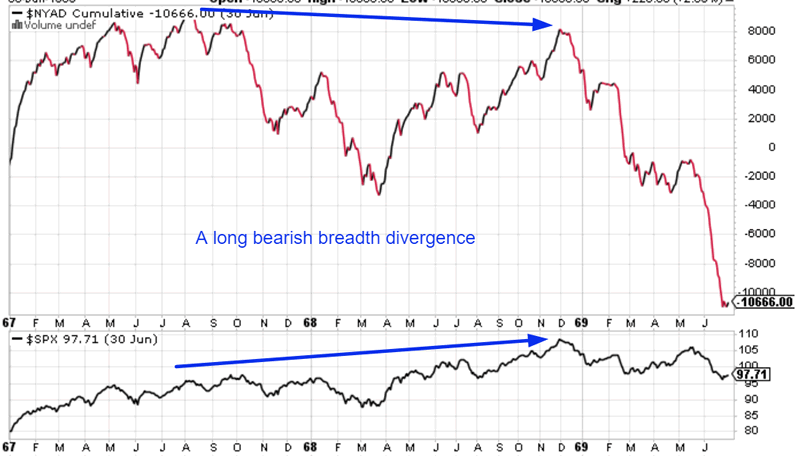 Do Stocks Bull Market Tops Need Breadth Divergences? Despite what some bearish investors might say, the U.S. stock market’s breadth is IMPROVING right now. Here’s the NYSE’s Advance-Decline Cumulative Line. It is leading the S&P 500 higher. Let’s look at these cases in detail. The U.S. stock market peaked in October 2007. 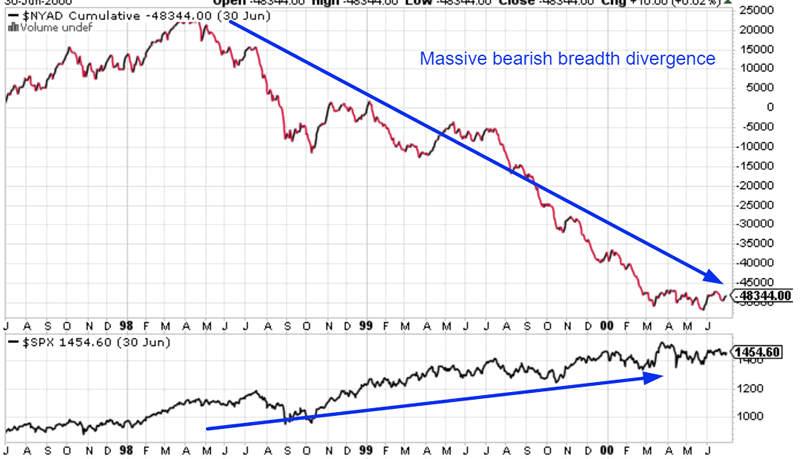 The Advance-Decline line peaked in June 2007 and made a multi-month bearish divergence. The U.S. stock market peaked in March 2000. The Advance-Decline line peaked in April 1998 and made a bearish divergence that lasted 2 years. The U.S. stock market peaked in January 1972. 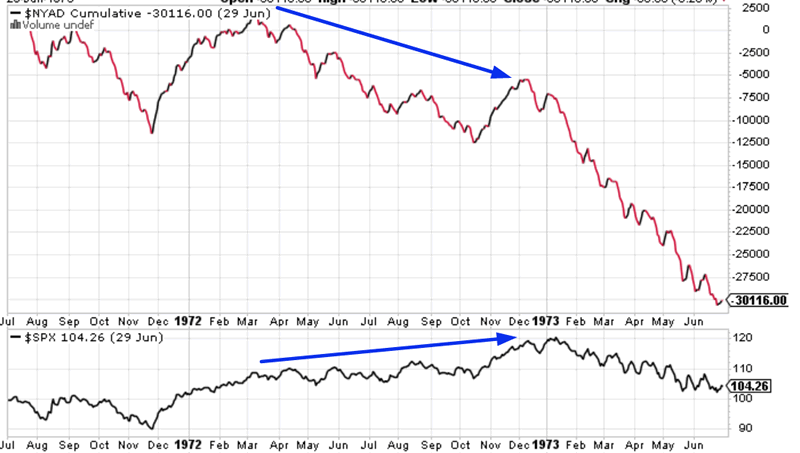 The Advance-Decline line peaked in March 1972 and made a bearish divergence that lasted 10 months. The U.S. stock market peaked in December 1968. The Advance-Decline line peaked in April 1967 and made a bearish divergence that lasted for 1.5 years. 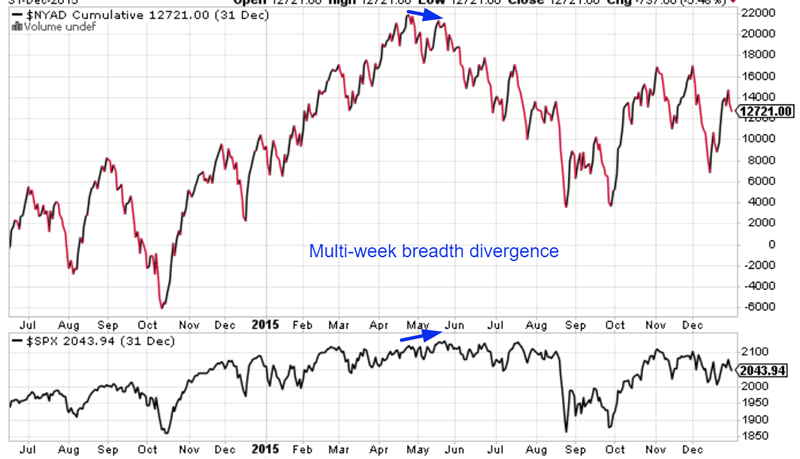 There has been no multi-month bearish breadth divergence today. This implies that the current equities bull market is not over and will last AT LEAST a few more months. This thesis is supported by other studies (Study: strong earnings growth is bullish for stocks). 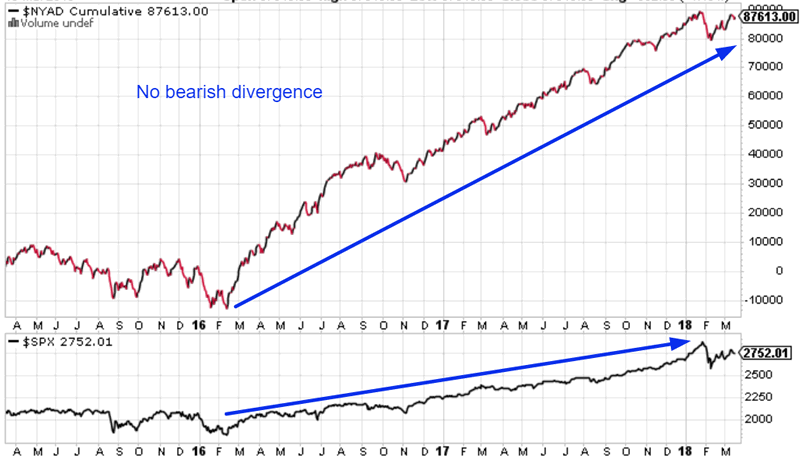 It’s also worth noting that multi-week bearish breadth divergences were common before historical “significant corrections” began. Here’s an example featuring the 2015 “significant correction”. 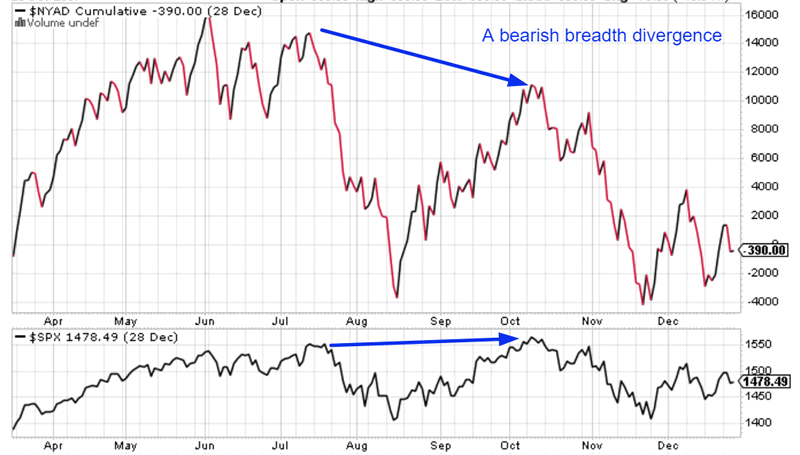 Here’s an example showing that not all “significant corrections” are preceded by bearish breadth divergences. 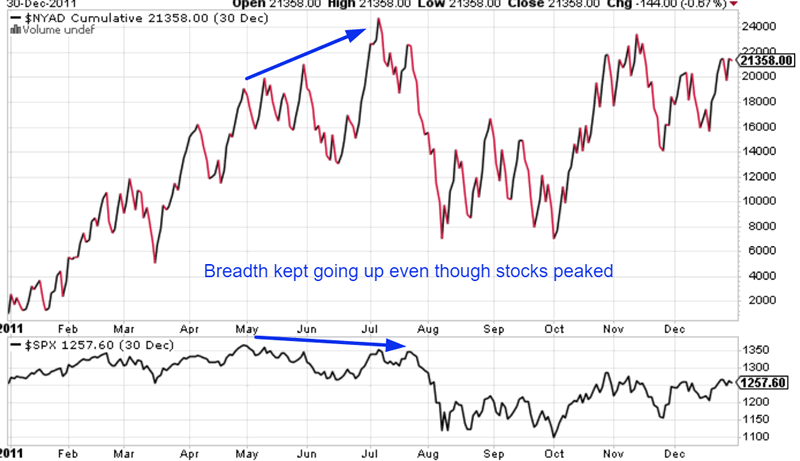 We cannot use breadth divergences to consistently and accurately predict “significant corrections”.